An ideal voltage source is one in which terminal voltage remains constant regardless current flow through its terminals. 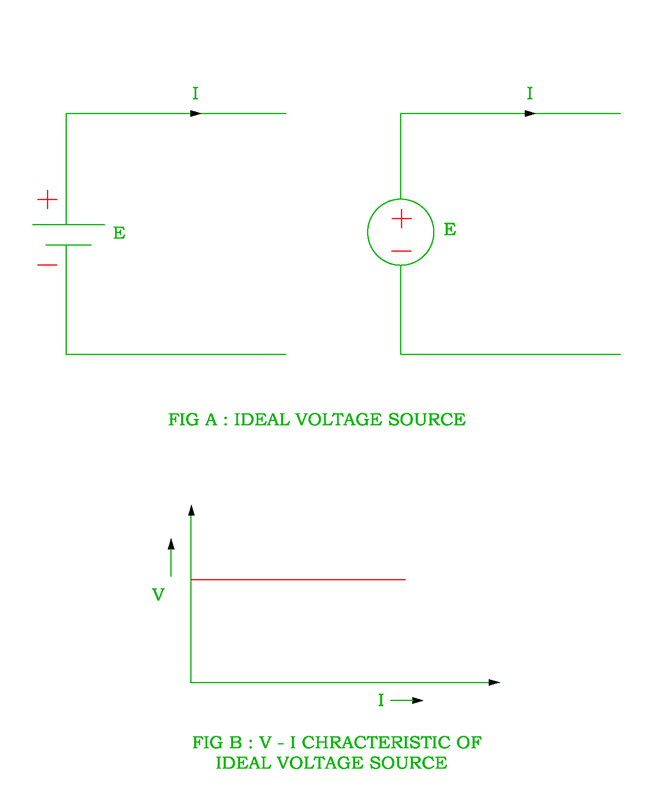 The ideal voltage source has zero internal resistance. 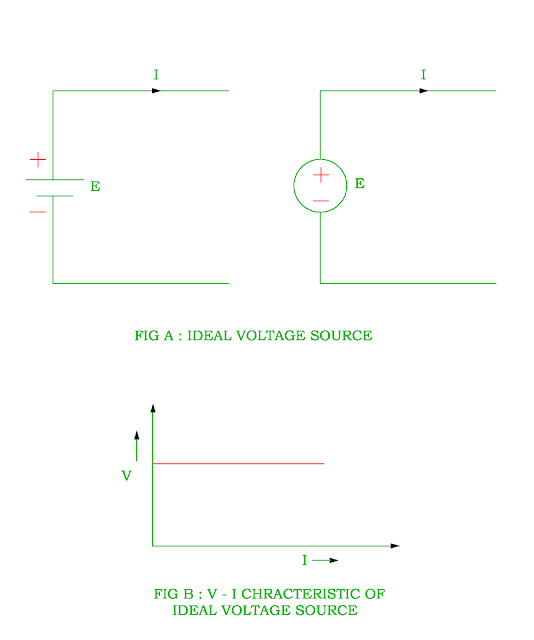 The symbol for the ideal voltage source is shown in the Figure A. Its terminal voltage remains constant with respect to current as shown in the Figure B. 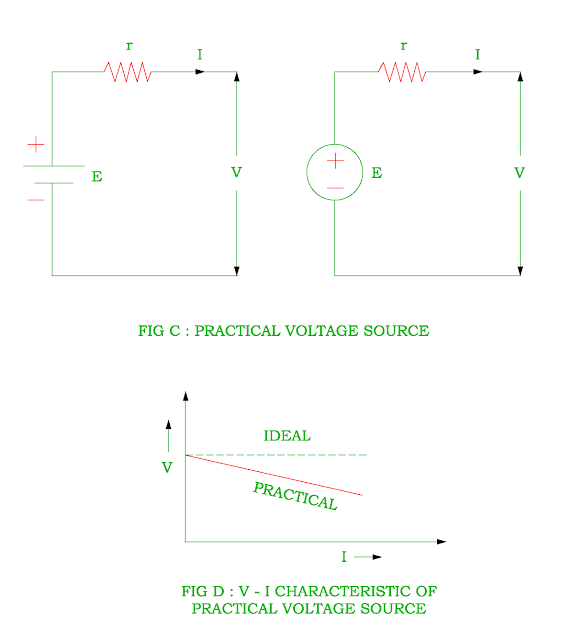 As the practical voltage source has some finite internal resistance, its terminal voltage does not remains constant but falls as the current through the circuit increases. 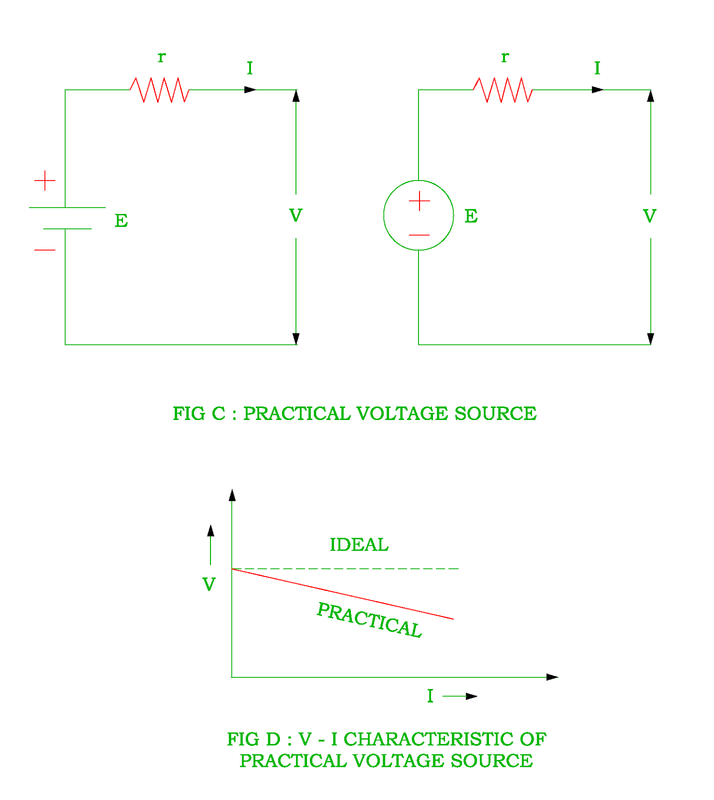 The practical voltage source has internal resistance r is shown in the Figure C.
The terminal voltage V is equal to emf E minus voltage drop across resistance r. Its terminal voltage with respect to current is shown in the Figure D.
An ideal current source is one in which current through its terminals remains constant regardless of terminal voltage. 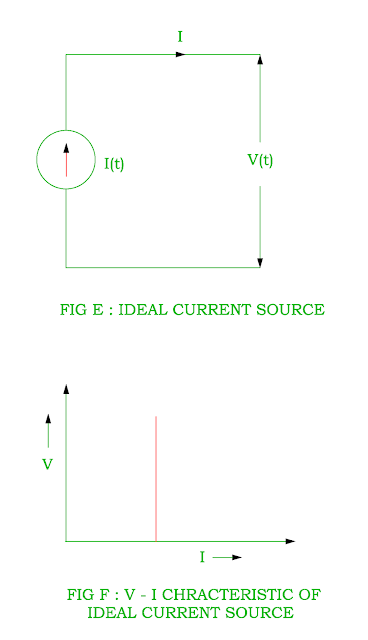 The symbol of ideal current source is shown in the Figure E.
The ideal current source has infinite internal resistance. The relation between voltage and current is shown in the Figure F for ideal current source. 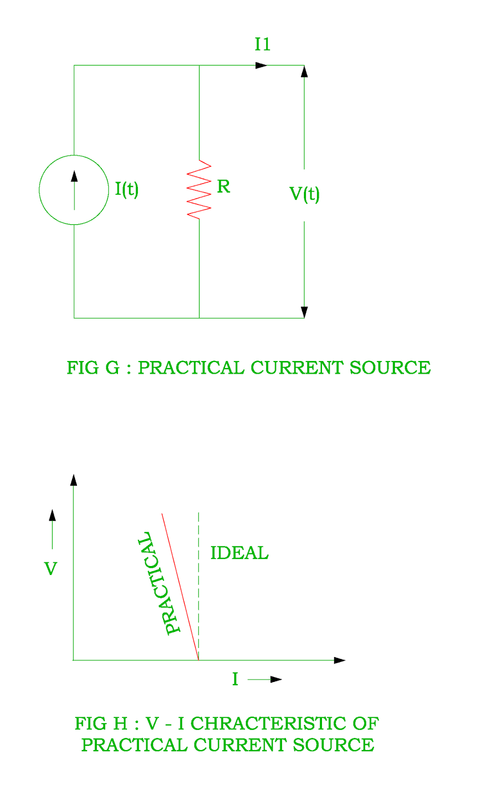 The practical current source is one in which current through its terminal decreases as the voltage across it increases. The practical current source is considered by connecting parallel resistance across an ideal current source as shown in the Figure G.
Where R is internal resistance of voltage source and V is terminal voltage of an ideal current source. The voltage – current relation is shown in the Figure H in which current falls as voltage across terminal increases.